Whether in a huge stadium or a tiny club, there are some special concerts that carry a sensational feeling in the air. The Shepherd’s Bush Empire is completely sold-out and The Drums are about to take stage. 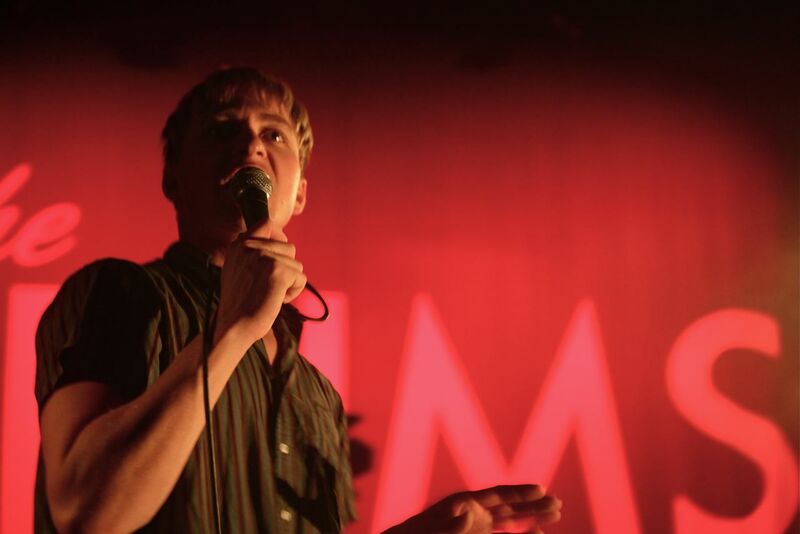 Their eponymous debut album ‘The Drums’ was full of impressive songs and addictive melodies but raw, way too raw. With a sound in between The Smiths and The Beach Boys, the band had to choose their musical direction: they put the surfboards on the side and it followed, ‘Portamento’, their second record. At the end of the day they are New Yorkers, not Californians. The lights fade out and the band kick off the night with ‘What You Were’. It is incredible to realise how they managed to keep their sound so rough and sophisticated at the same time. ‘Best Friend’ followed afterwards and the audience reacts with an immediate sing along. Jonathan Pierce is in continuous motion, his movements are hypnotic and you really seem to see a young Morrissey on stage. A great rendition of ‘Me And The Moon’ shook the public, but it was ‘Money’ that made the audience in the two galleries stand up. Visually very simple but effective, the show was characterised by an alternation of red and white lights. On the background there is a huge sign saying “The Drums” and “PORTAMENTO”. Portamento has a double meaning: it’s the gradual slide from one note to another but also the posture. Pierce embodies both these traits as a sophisticated singer and fascinating frontman. ‘Forever And Ever, Amen’ was the big hit of the night, causing the loudest sing along. They closed their set with ‘Searching For Heaven’ and, to the surprise of the audience, left out ‘Let’s Go Surfing’. A great talent but still raw – or maybe that’s exactly their strength?